Solar power is an abundant and low carbon source of electricity. With solar costs dropping dramatically, we need to know: when does solar power make sense on my rooftop or in my town or state? 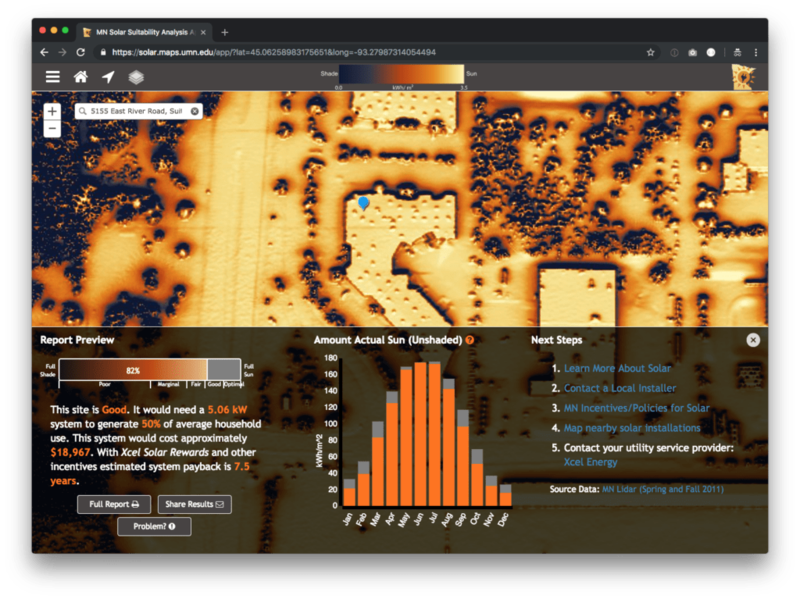 It turns out that calculating the solar potential or the amount of sunlight received by each portion of the roof over the course of a year is complex. You need to take into account weather patterns, position of the sun in the sky at different times of year, and shade from nearby obstructions like trees and tall buildings. LuminFire developer Andy Walz led a team of University of Minnesota (UMN) grad students in generating a model of solar potential for the entire state of Minnesota using lidar data from the MN Department of Natural Resources and MN Geospatial Information Office. The data processing pipeline the group developed utilizes a number of commercial and open source tools, automated with Python scripts, including LAStools, ESRI’s ArcGIS Spatial Analyst, and Postgres/PostGIS. It was designed to run in parallel using MN Supercomputing Institute resources and networked desktop workstations (i.e. idle computer labs during school holidays). The group’s methods are described in detail at solar.maps.umn.edu. 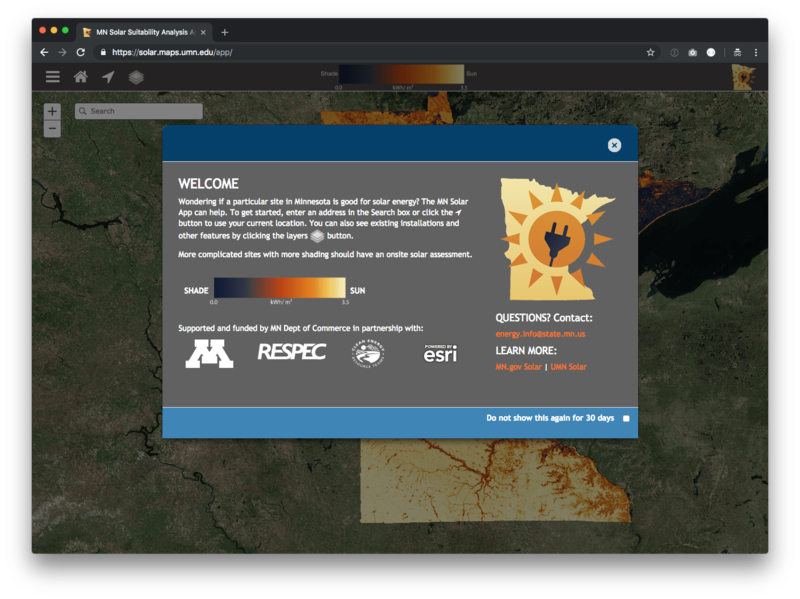 The data model produced is hosted as a service within the Minnesota Geospatial Commons and it drives mn.gov/solarapp, a map-centric, consumer-facing web app that solar installers and potential costumers use to gauge site potential for producing solar energy. The app contains a simple calculator designed to give users an idea of cost and payback timeline. It also allows users to save pdf reports and share results with others. 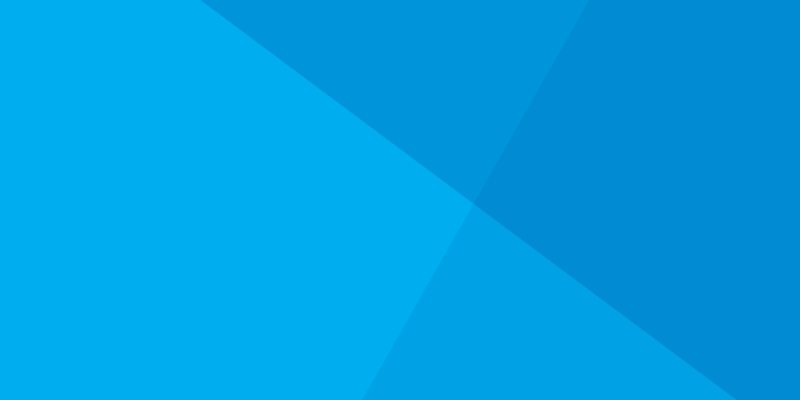 It is a responsive application designed to run on phones, tablets, and desktop systems. The first version of the solarapp won 1st place is Esri’s Climate Resilience App Challenge. The app was later purchased by the MN Department of Commerce and is now hosted on UMN’s powerful enterprise GIS infrastructure. For several years running the app has been a prominent feature of the MN State Fair Eco-experience and other clean energy tradeshows. 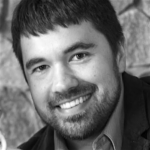 Andy has been the lead developer on the solarapp since its beginning, and he continues to consult with Clean Energy Resource Teams as needed on maintenance and new features. The solarapp is now open source. Anyone can contribute by contacting U-Spatial, keepers of the code repository.